Sometime in late 2011, a keen gang of thieves noticed a woman standing alone at City Park, Nairobi. For weeks, they plotted how they would steal upon her in the dead of the night and work through the darkness unnoticed. Once they had her off her base, they figured, they could cart her home and hide her until the outrage died. On the appointed night, they made to the crime scene and knocked her off her base but an arm tore off in the process. As the first rays of daylight struck her brown body, they realised she was too heavy and too big to steal and they counted their losses and ran away. 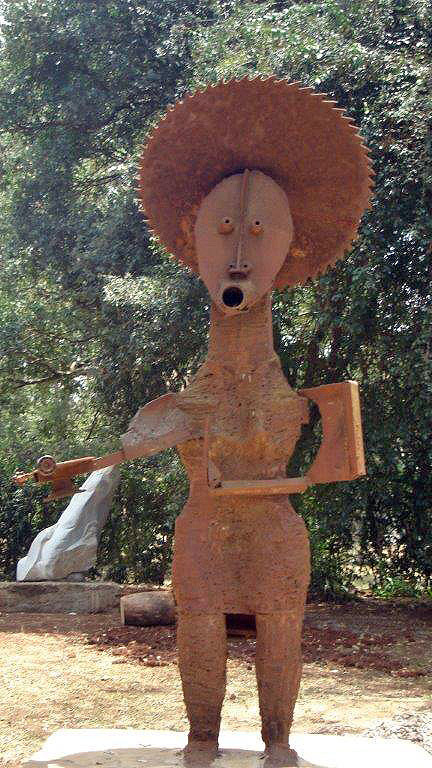 The woman in question is a wrought iron statue called “Woman at the Gate” made by the famous Ugandan sculptor Francis Nnaggenda. It stands at the Murumbi Peace Memorial in City Park, Nairobi, where Kenya’s second Vice President, Joseph Murumbi, and his wife Sheila are buried. An avid collector, Murumbi commissioned Nnaggenda to make a statue and it became the most famous piece in his collection. The Iron Lady stood in front of the Murumbis’ Muthaiga home for decades, welcoming the thousands of visitors who visited to see the collection. The unaccomplished art thieves probably didn’t know her artistic value. It is more likely that they wanted to dismantle the statue for scrap metal, most probably to feed China’s hunger for the material. An unregulated market, the scrap metal sector is a thief’s paradise because the first transaction normally washes away the sins of acquisition. The Woman at the Gate was not the only target of keen art thieves. Over the years, all the brass plaques and cords have been stolen and the burial place of the Murumbis dug up. 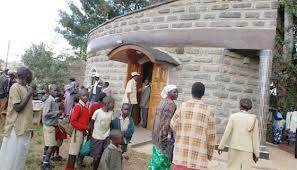 It is supposed to be one of the safest, if not the most protected, building in the whole of Kenya. It is actually not a single building but a central one in Nairobi with smaller replicas in Mombasa, Nakuru, and other towns. All of them are heavily guarded because they are home to the most important office in the country. Ideally, nothing should go in or out without authorisation. But a few things did. Sometime in 2013, five pieces of decorative ivory that had graced the President’s and the First Lady’s offices went missing. They were later found in a huge consignment of ivory that was hidden in a container bound for Asia. The pieces had been stolen by a State House caretaker, aided by a General Service Unit (GSU) constable. Under questioning, the officer confessed to the crime but claimed that he had decided to help the caretaker to uncover the cartel. All the articles were recovered, with the last two being found hidden underground on the State House premises. 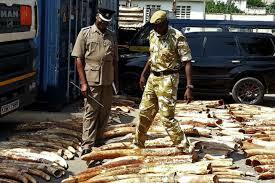 The revival of the ivory trade reignited Kenya’s black market which had boomed in the 70s and the 80s. This time, the black-market had more money and was more sophisticated. Poachers were and still are bringing down elephants by their tens, plucking the ivory off their carcasses and making millions once the tusks are sold to smugglers. Not all ivory comes directly from poaching, however, as some is stolen. 5. The Stealing of New York 9/11 and Shall We Crucify Him? One of the two art heists on this list involving the now defunct Gallery Watatu, the theft of these two paintings did not involve a break-in or an auction. Instead, Sane Wadu’s New York 9/11 and Shall We Crucify Him? disappeared somewhere between the two people who were entrusted to keep the same safe. When the last Managing Director of Gallery Watatu, the Ghanaian collector Osei Kofi, was leaving for his home in Geneva, he left Wadu’s two paintings with instructions that they be delivered to the artist or his confidante in Limuru. The man entrusted with the task was his driver, Stephen Kimani, and the pieces were left in a guesthouse owned by a Ms. Peninah. That was in February 2013. The paintings disappeared sometime between February and November 2013. Neither of the two people involved ever accepted responsibility for the disappearance. Of course it was treated like a petty crime when Wadu reported the crime. You might think so too until you learn the value of the artist’s other works. At an art auction in Nairobi at about the same time the heist of his work became national news, one of Wadu’s paintings, called ‘The World Trade Centre’ fetched Shs. 1.3 million. It was the third most expensive article at the sale as two other pieces by other artists sold for over 2 million shillings. Sane Wadu’s World Trade Center, 1988. The value of the stolen articles is unknown as they were never in the auction but it is likely they would have sold for over a million shillings. Of their current location, it is likely they hang on the wall of a person who doesn’t know their worth or they disappeared in the art black market supply chain, gaining value as they changed hands until they joined the secret collection of a filthy rich art collector. One of the most controversial and publicised art heists in Kenya was the stealing of the vigango, wooden effigies with abstract faces that are sacred among the Mijikenda. Although their theft had started long before the 1980s, it was in that decade that they gained popularity as collectibles among Hollywood celebrities. When the lid blew off the can in the 1990s that the pieces were being plucked off grave sites to sate the hunger of the rich and famous, most of them donated them to museums in the United States. By 2000, it was estimated that at least 400 vigango were held in 19 American museums and in private collections. The vigango are set in the earth in remembrance of the dead. The reason why their removal as a heist is because the belief system around the vigango begins with the central tenet that they must never be moved once they are erected. One scholar compared moving them to “stealing our grandfather’s tombstone from on top of his grave.’ They are worth a lot of money, often costing families their entire savings to have made and erected in an elaborate ceremony. To the young and desperate, however, the wooden statues are unprotected treasures. They pluck them and hawk them to art collectors in Malindi and Mombasa for anything between $300 and $800. Since they are not classified as artefacts, the pieces are then shipped to the United States and other countries where their value goes up tenfold, sometimes more, depending on who owned it. Their catalogue value in US museums is an average $5000. Once their value to the Mijikenda hit international news, a concerted campaign began across America to repatriate them back to their owners. In Illinois, then Senator Barrack Obama exerted pressure on Illinois State Museum to right the wrong that had delivered the statues to them. The campaign spread and was met with some success. For example, two vigangos whose theft was said to have led to the death of the man who commissioned them in 1985 were returned to the home in 2006 after a scholar showed photos she had taken of the man standing next to the effigies before they were stolen. Others remain in various universities such as the New York Centre for African Art, Smithsonian Institutions’ National Museum of African Art and Hampton University. Hampton has the most vigangos in any known single collection. Investigations have shown that most of the pieces in America were sold by a prominent collector called Ernie Wolfe II. The New York collector argues that he bought the pieces at the Kenyan coast and in good faith. To stymie the trade, Mijikenda elders now set the vigangos in a concrete base and once commissioned a sculptor to carve fake replicas for the market. It was an abhorring heist that was orchestrated by the very people who were charged with protecting the artefacts. By the time the theft was discovered in mid-July 2009, the entire Stoneham collection saves for a lion skin and butterflies was nowhere to be seen. The collection was the foundation of the Museum when it was donated by a decorated British soldier, Hugh Stoneham, in 1920. For the longest time, the museum bore Stoneham’s name as testament to his contribution. Today, however, only the lion skin and the butterflies remain of what was once an impressive collection of military medals, a military sword, a microscope, scientific artefacts and other pieces of art. In one thread I chanced upon while researching this heist, a British tourist blames himself for publicising the Stoneham medal collection in Europe after a visit to Kitale. In his not-so-far-fetched logic, his report fuelled an interest among private collectors who then approached museum staff and offered them a share of the loot if they made away with the entire collection. What ensued was the disappearance of 58 items worth at least Shs. 60 million. It would have been stupid for the staff to think no one would notice that the centrepiece of the museum was conspicuously missing and in mid-July, someone did. All members of staff were interdicted although there is no news of their eventual fate. It also remains unknown whether any or all Stoneham’s impressive art and artefacts were ever recovered. This is perhaps the most underplayed art heist in Kenya in recent times. 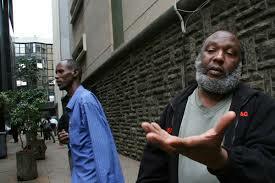 In it, art worth hundreds of millions of shillings was sold for next to nothing. 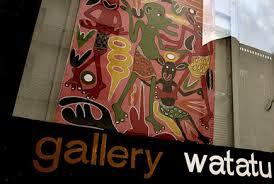 For decades, the now-defunct Gallery Watatu occupied a colonial-style house on Standard Street. The gallery shifted to pave way for the building of the 22-storey Lonrho House and then moved back in once the skyscraper was complete. Thus began the story of struggle to make ends meet that would end up in pillage and one of the most shameless acts against art ever done in Kenya. What began as a demand for rent arrears of Shs. 1.3 million ended up being a loss for artists whose pieces worth millions were sold for a penny or less. 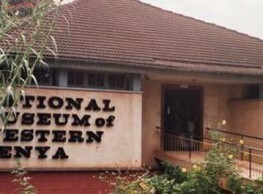 The landlord engaged Garam Investments to seize property for auction and the debt collection firm promptly raided the premises, carting off property worth anything between 40 million shillings to 200 millionl Most of it was in the form of art by Kenya’s most prominent artists who had contracted the gallery to sell or store their art. Other pieces were part of the MD’s private collection. Although negotiations suggested the efforts to get back the art pieces at least would be fruitful, an auction was held at the end of May 2012 where pieces worth 2 million each were sold in batches of 10 for a meagre 800 bob. 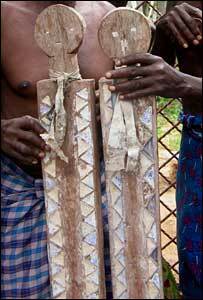 Gakunju Kaigwa, a leading Kenyan sculptor, lost four pieces collectively worth between Shs. 4 million and Shs. 5 million. Another piece by George Lilanga was sold for Shs. 100 while it was valued at Shs. 100, 000. It is unlikely the lucky buyers even knew the value of the art they were buying at a pittance. Most of the pieces have never been found. The value of Kenyan art and artefacts stolen and carted off to Britain and America during the colonial period is too high to estimate. As soon as the first missionaries landed at the coast, they started taking away African art while convincing Africans that their art was useless and medieval. The looting that followed during the colonial era was nothing but appalling. While hoodwinking Africans to abandon their culture and art, the British continually plundered art and shipped it back to their country and the larger West. Most of it will never see the bright African sun again. Most of this cultural looting was systematic while a smaller part was sporadic, fuelled by hunters sending back home trophies and the plunder that went on in the years leading to independence. Good examples of such artefacts are the items that belonged to Koitalel Arap Samoei, the leader of the Nandi. Among the items taken to Britain were his skull, sandals, lion skin headgear, two clubs and a traditional stool. The clubs and the stool were returned to the Nandi community in 2007 at the same time when the British Museum was lending Nairobi Museum more than 100 pieces taken from Kenya during the colonial era. It is not clear how others such as a beautiful ivory carving once owned by Chief Kinyanjui ended up outside Kenya. Other set pieces that simply vanished include a huge bell that once graced the entrance to Lamu Town and that is visible from the earliest photos taken of the island in the 1800s. At the end of the State of Emergency, British officials made away with precious artefacts that were core to Kenya’s culture and history. The largest part of the booty included documents and records but it also included things such as Field Marshal Dedan Kimathi’s coat, other Mau Mau artefacts and art of an undetermined value. The huge consignment of uniform, weapons and other materials handed to Jomo Kenyatta by the last of the Mau Mau fighters at Ruring’u Stadium in Nyeri also disappeared.